Even though it is not a requirement that people taking to the water are trained in any way, it is certainly recommended that they take some basic training before setting sail. If you go on a boating holiday basic training will be given before you are allowed on the boat. Many training courses in the UK are administered by the Royal Yacht Association, and are provided by many companies around the UK. They vary from starter courses in sailing for complete novices, to Yacht Master courses for the experienced yachtsman or woman. All recognised schools and clubs have to meet high standards of quality of instruction and safety, and only RYA recognised Training Centres are permitted to display the tick-mark logo. The RYA provide guidance for may areas of watersports, including sailing, sail cruising, motor cruising, windsurfing, dinghy sailing and personal watercraft. Courses range from beginners to the more advanced, and can be either theory based or practical based. The cost of courses can range from £150 for a basic 1 day beginners course to £500 for courses lasting up to 5 days. These courses will be in small groups, but with friendly and experienced trainers. Some training centres offer fasttrack courses on a one-top-one basis which have slightly higher fees. Also some training centres offer intensive courses designed to take the non-sailor to the Yachtmaster in 2 or 3 months. The cost of these courses are high, starting at £5000. 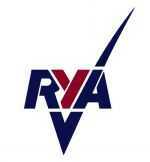 Have a look at the RYA website (www.rya.org) for a list of RYA recommended training schools and clubs. Have a look at the Sailing Training and Sports Training pages of this site for more information on these different aspects of training. Also, check out the Links page for links to some RYA recommended training centres.